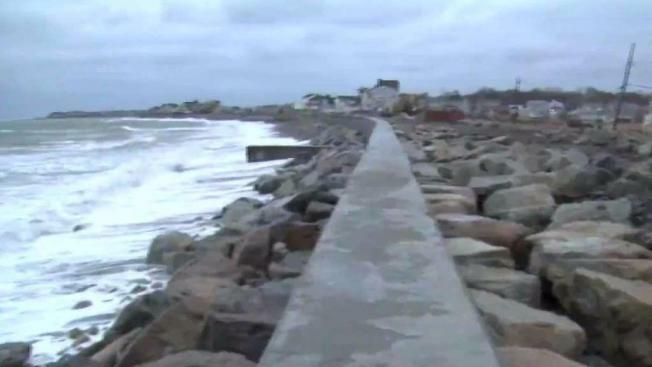 On Massachusetts' coast, residents are relieved that the fourth nor'easter of March brought little nasty weather. A storm system that made its way into New England late Wednesday did not deliver as much snow as had been anticipated. Residents had been preparing for a fourth March nor'easter to bring another round of heavy, wet snow and possible coastal flooding. Snow did begin falling in some areas by Wednesday afternoon, but the storm pulled away a lot quicker and the heavy snow bands that were anticipated to come in with the storm did not materialize all that well. As the storm began to fizzle out by Thursday morning, anticipated snowfall amounts were a dusting to 1 inch in Boston and 1 to 3 inches in southeastern Massachusetts. A storm system that made its way into New England late Wednesday did not deliver as much snow that had been anticipated, causing some school districts like Boston to cancel school once again. Roads were, however, still slippery during the morning commute. With slush and light snow covering areas of southwest Massachusetts, officials with the Department of Transportation said they had more than 750 trucks treating the roadways at one point. In coastal communities, flooding was still a concern due to high tides. In Scituate, many parking lots were flooded by Thursday morning in areas still recovering from the last couple of storms. When the flooding started to recede, some residents breathed a sigh of relief while others seemed disappointed. "Very light storm, we were very lucky," said one Scituate resident. "Another letdown. We were expecting 5 to 8. We got nothing here," added another resident. 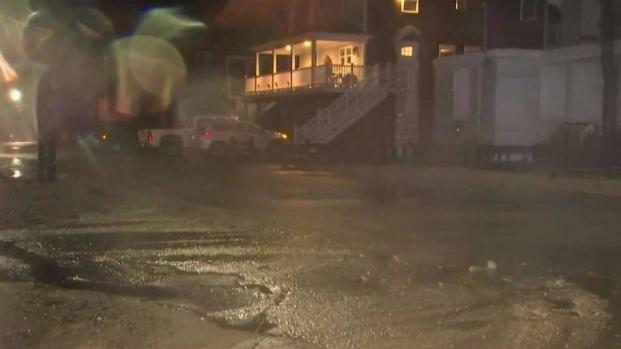 Despite not getting as much snow expected from what was thought to be a fourth March nor'easter, Massachusetts coastal communities like Scituate were still seeing flooding as a storm system moved through the area. Because high snowfall amounts were expected, many school districts — including Boston — canceled for the day. "Although we're facing some uncertainty in the forecast, Boston is taking the precautionary measure to cancel school tomorrow to ensure the safety of our students," Boston Mayor Marty Walsh said in a statement. 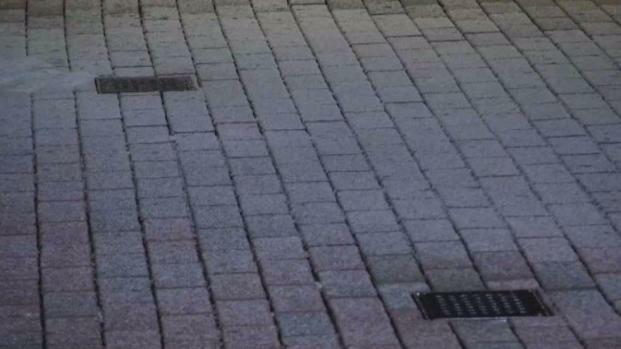 Some parents were frustrated with the decisions made by various school districts, especially since not a flake had fallen in most of Massachusetts by Wednesday afternoon. "I think they give them to us when we get nothing when we’re expected to get a lot and we end up with nothing," parent Leeann Bronzo said. "And then when we do have something, they end up having school and it’s a big mess."